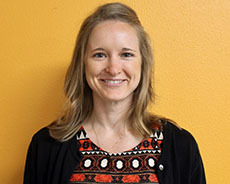 Karly works as a bilingual therapist in CHC’s South Bay community clinic, providing services in the First 5 program as well as for children 6 years and older. Karly has worked with children, teens and families for the past nine years following her undergraduate studies; her experience ranges from providing support in school settings, behavioral health clinics, hospitals and home-based services. She enjoys incorporating mindfulness and art into her work with clients. Karly recognizes that each child, teen and family is unique with their own values, culture and interests and Karly uses those aspects to support her clients in growing and reaching their goals.